This site has photos and articles about steam and diesel trains, buses of the 50's and 60's, various ferries and traction engines. It is as much about the current scene, mainline or preserved, ferries that are running today; as it is about the past - though of course Heritage Railways try to recreate the past! Use the links on the left or above to go to the section home pages or scroll down this page to see which pages have been updated or added recently, within each segment there are numerous sub sections. You can dip in and look at the photos or spend longer on the articles which are many and varied. Alternatively you can Search this site or see the full list of pages on Site Map. WSR 2017 has some photos of the WSR including the Spring Steam Gala. Photos from this years Steam on the Levels 2015 at Westonzoyland in Somerset. WSR 2014-2015 has photos of the Spring Steam Gala and some Gala visitors the weekend before plus some "everyday" photos of the line in 2015. 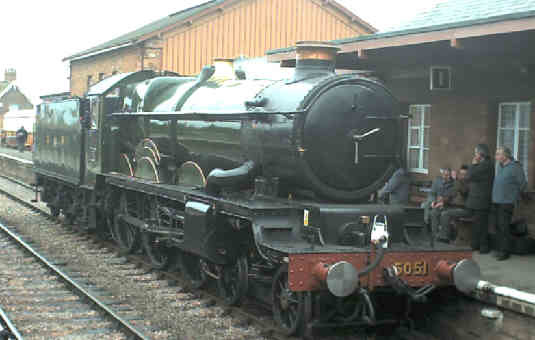 WSR 2012 has photos of the Autumn Steam Gala as well as 4160, 88, 34067 Tangmere, and 45379 on 29 September. Crosville Running Day 2012 has photos from this very enjoyable new event. Some photos of the Gartell Steam Fair on 29 July. More added to this page 31/08/2012. 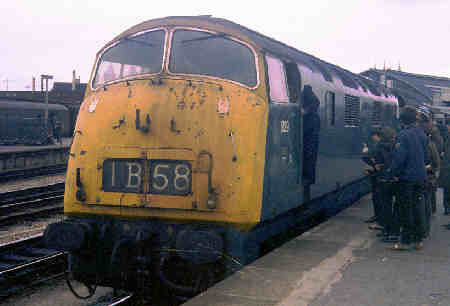 WSR 2012 has photos of 34067 Tangmere and D832 Onslaught on 21 July added. Bure Valley Railway has photos of this narrow gauge line at Wroxham in Norfolk. Ferry miscellany has pics of Reedham Ferry in Norfolk. Quantock Heritage has photos of two Leyland Titans running trips in connection with the WSR's Thomas the Tank Engine weekend at Minehead. Mixed Traction Weekend 2012 has photos of this year's event on the West Somerset Railway. South Devon Railway has photos of the Diamond Jubilee weekend special workings on this railway. Vale of Rheidol has photos of a visit to the railway at Devil's Bridge. There is a page of Guest Photos, ones that have been sent in by visitors to the site. These will change as new ones are received, not all photos received will be included but, if they are relevant to the themes of this site, I'll try to put them up for a while. At present there are some of preserved steam in Australia and Japan and some of Bristol/ECW buses. My travel and animal pages, my site about my favourite places in Britain and France together with my horses, dogs and cats etc. Click here for my Links page. This site was last updated 31-07-2017.